There’s such familiarity in today’s readings that I feel they must be written on our hearts. These words of love, joy, and unity; words of encouragement and instruction; and words of Truth. These are words we live by–what we believe and what we do. “As Episcopalians we believe in a loving, liberating, and life-giving God: Father, Son, and Holy Spirit. As constituent members of the Anglican Communion in the United States, we are descendants of and partners with the Church of England and the Scottish Episcopal Church, and are part of the third largest group of Christians in the world. “We believe in following the teachings of Jesus Christ, whose life, death, and resurrection saved the world. “We have a legacy of inclusion, aspiring to tell and exemplify God’s love for every human being; women and men serve as bishops, priests, and deacons in our church. Laypeople and clergy cooperate as leaders at all levels of our church. Leadership is a gift from God, and can be expressed by all people in our church, regardless of sexual identity or orientation. We are a church grounded in the love of God, and Jesus Christ has shown us the way. There might be images and connotations in Song of Solomon that make us blush, but if we get past our own immaturity and contemplate a yearning and love of God fulfilled and in perfect unity, we get closer to the sentiment the wise words intend. Jesus has this love for the world, for the Church, for us. We focus a lot on authenticity, right? We shun hypocrisy, what is fake and insincere. Most of us can probably spot it a mile away, smell it like the stinky mushrooms that are invading my flower bed at home. James is being real. He’s saying, “If this is what you believe, then what do you do?” (He can also be read as a what-you-should-be-doing list, but that’s for another time.) The book of James is big on doing, not just believing and talking, and we’re given a quick test for religion that is pure and undefiled: does it “care for orphans and widows in their distress” and “keep (people) unstained by the world”? “Thanks so much for reaching out with such poignant questions! Indeed we hope that we are following the Way of Jesus in many ways that directly reach out in love to the very people you name. For widows, there are several in our congregation, and they find community in their midst. Maybe someday we can have a more formal support for them. Outside the church itself, many widows, orphans, strangers, and immigrants are participants in the food pantry at Christ the King (the church we formerly shared space with). They also have a Feast of Grace once a month that is open to all. We’ve also joined up with the HomeTowne Suites feeding ministry that assists all kinds of folks who happen to find the motel their home. We also have our Spanish-speaking congregation, and we don’t ask about immigration status, though we are supportive of efforts to support anyone who needs assistance/support. Padre Guillermo often participates and offers prayers at events for the Hispanic community. I’m working on my Spanish skills! We were the only church from Bentonville that marched in the Pride parade in Fayetteville this June. 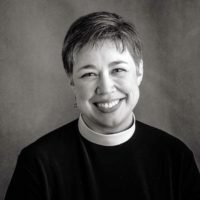 We are open and affirming of or LGBTQ+ community, and The Episcopal Church offers marriage for LGBTQ+ partnerships. This was just a list off the top of my head in response to her questions, and this is just a portion of what we do here at All Saints’ because we believe in a triune God and the teachings and salvation of Jesus Christ. So why do we do what we do? Why is it important that we do what we do authentically? . . . Because if we do good because of true belief and faith in our hearts, what we do won’t stink. God knows I’m being lazy with those mushrooms by my front door. I get one whiff of them these days, and I grab the hoe (that I just leave by the porch since it must be stinky mushroom season), break them down, and cover them over with the mulch. I’m probably just encouraging their growth right there, saving the flies that spread their spores the trip. But y’all, these mushroom stink, smell like death or rotten meat. They’re gross. You’d have to be crazy to eat them, and I’m pretty sure your hands would stink for days if you touched them. But God has said it doesn’t really matter if what we touch is clean or not. Whatever we bring into our grasp, whatever we put in our bodies is just going to go to the sewer anyway (or perish in its materialism, yes?). It’s what’s in our hearts that matters. It’s all that God wants. It’s what Jesus Christ already knows. It’s easier to just make things look pretty on the outside, to cover up the stench with mulch or Glade or Febreeze or the most beautiful church ever, but to be pure and undefiled . . . that’s going to come from our hearts . . . that’s going to get at the source. We do all that we do because we believe in a Way of Love, and it’s not always easy. It’s going to mean that we have to hold ourselves accountable and worship with people who might have a different opinion than we have, but what holds us together is greater than our worldly discrepancies, if what holds us together is the Love of God. God also knows that we like things a certain way in The Episcopal Church. But I’m pretty sure we’re not asked anywhere in the scripture which vestments we wear, how centered the altar is, what kind of windows we have, or what kind of coffee we serve. 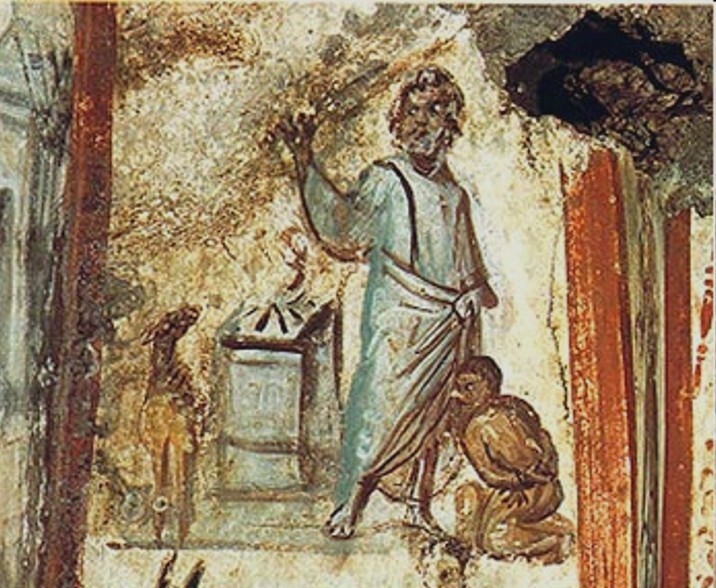 What we are asked is: if we examine the works that we do, what does that say of our faith? What do we believe, and what does that say of our heart? What do we trust to be true in our heart of hearts? God knows, but if we hold up a mirror to ourselves, do we see clearly? Are we willing to be honest about who we are in all our beauty and imperfections? I believe we are. That’s why we confess. That’s why we reconcile ourselves to God through Christ: so we can receive the Body of Christ and go back out into the world in peace, rejoicing in the power of the Spirit to do good work in the name of a true religion that actually practices love. If that kind of thing isn’t for you, then this isn’t the church for you. If that kind of stirs your heart or gives you goosebumps or makes you smile, then stick around. Because we are a church that believes in Jesus Christ, and we can love one another so much because with all our hearts, souls, and mind, we love God. We love what God can do through us and with us. I love what God does with me, when I am weak and when I’m strong . . . but especially when I’m weak. More than true religion, I know true love. God loves me with that love, and I know without a doubt that God loves you with that true love, too. 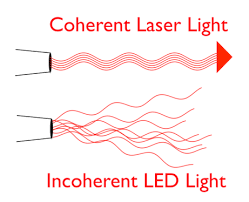 Coherence defined is “the quality of forming a unified whole.” In physics, coherence is “a fixed relationship between the phase of waves in a beam of radiation of a single f requency. Two beams of light are coherent when the phase difference between their waves is constant.” So in class when we focused on compassion, among other things, we talked about being coherent with ourselves and one another. If we want to feel at one with one another, in sync, we focus on recognizing suffering and not inflicting it ourselves: we do unto others as we would have them do unto us. As Christians, this looks like recognizing the lack of belovedness that’s present in the world around us, and we show love. One of the greatest exercises we did in the class and that I’ve done in small groups many times since, is a compassion exercise of taking a moment of love and joy in my life, breathing it in and exhaling it, intentionally spreading it beyond myself until it expands to God beyond the cosmos . . . and bringing it back in to me, here and now. I think we often forget that we have a great capacity to make a difference in our world, near and far. This matter of forgetting is of critical importance. In the Jewish tradition, recall the imperative behind telling the stories to the children, to the future generations so that the people wouldn’t forget who they are, whose they are, the imperative behind maintaining their identity. Isn’t that true in every cultural group? What’s your story? What’s your narrative? What do you know in your bones, tell to others, and share with the world? What are the most used words on your social media sites? Who do you surround yourself with and share in the same narrative? We are inclined these days to align with our social or interest groups, right? A big game is happening next week: are you Eagles or Patriots? People get passionate about their recreation. We also identify with our employment or lack thereof. Politics, too. Republican or Democrat? Conservative, mainstream, progressive, or liberal? Our place of origin. East or West? North or South? Legal or Immigrant? Our very identity: gender; ethnicity; sexuality; fertility . . . every which way we have to classify and sort ourselves, we accomplish it by furthering whatever story we have to affirm for ourselves, even if that means part of our story is to separate or alienate ourselves from others. I’ve mentioned Brené Brown so many times, and she preached in the National Cathedral last week, so I’ll revisit her words again: she states flat-out that we’re in a spiritual crisis. Our spirituality is based on belief that we are connected, not only to ourselves but also to something greater. Sure, our spirituality can be that we’re die-hard Eagles fans, and we’re bonded with other Eagles fans. But is the Eagles that “something greater”? We’re dyed in the wool Democrats or Republicans, Yankees or Rebels . . . but is our political or geographical homeland that “something greater”? I’m a priest in The Episcopal Church. Is the National Cathedral or even the organizing bodies at 815 my “something greater”? Our “something greaters” have a tendency to become idols, false gods, lifted up by false prophets, stumbling blocks to the weak. These idols don’t sever our connection with one another even from the “other” who doesn’t support or understand where we’re coming from, why we do what we do; they can’t sever that connection anymore than they can destroy the frequency between us: it can make it incoherent. The idols have a way of distancing ourselves from what is truly greater, making things in life so discordant and segregated that we forget what is truly great. As Christians, what is truly great is God, the God who imprinted God’s own image in each of us, whose divine imprint is breathed within every living thing. Especially as humans, who bear the image of God, we are inextricably connected to one another, and this is so important that we make vows in our baptism to respect the dignity of every human being. And when one person hurts in the whole world, our compassion compels us to recognize that suffering and work to alleviate the pain that it might not be inflicted upon them or us so that we can be whole with God. Buddhism taught me the word compassion. “This is what Christ is all about!” I nearly exclaimed to my professor. “Why have I never heard this word before?” I had never heard the word, but I had seen it in practice. We see it now. Students are dying in schools from gun violence, and we hurt. MOMS Demand groups sprang up five years ago after Sandy Hook to say no more children will die this way . . . my child won’t die that way. Every week, the possibility draws closer to kids we know. God forbid it be our own. What are we doing to bring coherence? To manifest compassion. We all know someone affected by the layoffs, right? Maybe you’ve experienced in the past if not now. Maybe you’ve had to deliver the news yourself if not with Walmart then in other lines of work. No one wants to fire or lay off anyone. We want everyone to have gainful employment. We want to plug people in and make deeper, truer connections, enable fruitful labor. Yet I hear rumblings that people are recognized as humans but rather as just another employee, just another calculation affecting the bottom line. What are we doing within our places of employment to reinforce our dignity and humanity and connection? Our work isn’t the greatest thing we do. Our lives are the greatest thing we have to show forth the love we have. Yes, we need to pay the bills in our homes and offices and churches, but at the end of the day, even at the end of our lives, how did we show the world our love of God and God’s love for us? Jesus taught with authority in the synagogue and cast out the demon from the man who never speaks for himself. And those gathered around him wondered at his words and work. Great crowds followed Jesus. Where was their focus? Where was their “something greater”? They made famous a man who did amazing things. The unclean spirit, however, called Jesus “the Holy One of God.” The demon, the embodiment of evil knew the coherence of Jesus, perceived the frequency, knew the divinity Jesus possessed, and the demon was powerless at His command though it did not leave without convulsions and crying out. The unclean spirit made a scene. Our idols or our demons don’t call out divinity when it appears, but they are mighty strong at enabling us to forget our imago dei, to forget the Christ Light we bear, to forget our connection with others, even to forget our connection to God. If we’re inclined to forget all this, how dim becomes the story of Jesus, the life he lived, the death he suffered, the resurrection and ascension he showed us as he returned to full Glory in God, in unity, wholeness, and perfect coherence. Hear our prayers, O God, and grant us peace, that we might be free from all that binds us and blinds us to the power of the Life and Love of Christ to restore us all to God. For further reading on compassion, I commend Karen Armstrong’s work on compassion, highlighted by this article on Brainpickings. At the Christianity panel sponsored by the Tri-faith Club on Tuesday night, there was a question regarding all the different denominations within Christianity. The question really started out with something like: “What’s up with all the different denominations in Christianity?” We were told there are more than 33,000 denominations, and that number continues to grow. So when our collect mentions a church “gathered together in unity,” I pause. “Unity” doesn’t exactly come to mind when thinking of the whole Church, and therein lies a warning flag for a shortcoming in my living into God’s will. So focused am I on “our” well-being as an appendage to the Body of Christ, that I miss the opportunity to pray with all my heart, soul, and mind this prayer of hope that sees–that visualizes– the potential we have as the Body of Christ to give glory to God. We are taught from a very early age to look out for ourselves, for our kind. It’s a tribal mentality, and I haven’t tried it, but I imagine that if you look at every conflict throughout history, you can see the battles playing out between an “us” and a “them.” We must protect ourselves for our survival. Certainly we have that within our Christian ancestry. Take this genesis story of Moses. The new king didn’t know Joseph; he didn’t know that it had been Joseph’s leadership that had helped the Egyptians and the Hebrews live through the famine. From his place of power, he saw the others, the Hebrews, growing in number, and rather than do the hard work of learning to live together without fear, without oppression, the king leaned harder into the oppression, motivated by his fear of this strong multitude of people. Where was the king’s hope? We can’t see it for the fear of losing power. What is his vision? For a continued reign unchallenged. Where is his sense of unity? Solely within his kind. What about the “others”? The apparently growing number of Hebrews, who, even in their subservient place in society, were also growing in power. Whereas the Egyptians feared the Hebrews, the Hebrews, we are told, feared God. At least, the midwives feared God more so than the king. So when they are told to kill the boys born to Hebrew mothers, they commit civil disobedience. They speak the truth when they say that the Hebrew women are vigorous; they are strong from all the labor they have to do. Are they born before the midwife comes to them? I birthed with a midwife who said the baby always started to come when she stepped away to go to the bathroom. Maybe these midwives, too — Shiphrah and Puah — didn’t get there in time. It can happen like that. We have the names of these midwives. Shiphrah and Puah. They had a sense of where they stood in relationship to God. They had a sense of hope in the blessing of their people, that they dare not defy God’s covenant or work against it. Their hope is in God. Their vision is in a people chosen by God. They know the stories of Joseph, Jacob, Isaac, and Abraham, and even more than that, they know the roles of the women in the stories, too. They know the power of the women to continue in God’s work. Their people cannot survive without them. They know they have to work together as a people united to be and stay strong. Out of all of this, Moses is born and rescued–by the cooperation of Egyptian and Hebrew women. Leave it to something innocent, precious, and good like a baby to bring people together, even if they aren’t fully aware of the divine work at play. We’ll continue with more of Moses next week, but today, where is our hope? What is our vision? Where is our unity? We, who know the stories of our people, who, like Peter recognize Jesus as the Son of God and are assured the kingdom of heaven, can we kick back and ride out this life on the waves of grace and the assurance of our salvation? Peter might have been granted this moment of glory with the favor of Jesus shining upon him, but remember that Peter is also the one who denies Jesus three times. Peter is a lot like us in his imperfections, right? He showed us that great faith can get us out of the boat, but our fears can also sink us. We needn’t be so sure of ourselves. We have to know who we are, really. We have to know where our hope is, and our hope is in the name of the Lord. How many times have we said that? What does that look like in practice? My hope is in God, so even when I’m told to do something that I know in my heart of hearts is wrong, I do not do it. More than that, I say out loud what is true, and if I do what is wrong, I confess and repent and begin again. 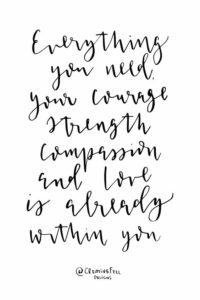 With the strength of Shiphrah and Puah, I support life and protect the vulnerable, and even if I’m scared, it is hope that I have in God to be with me, behind me, and before me, that I walk in the way of Jesus Christ. Hope in practice looks like living with the marginalized, if not as actual neighbors then as advocates for them. Sharing meals together. Sharing conversations together. Voting on measures that support the poor and silenced. Hope in practice looks a lot like taking the Light of Christ and sharing it with others because it gets stifled and changes when we hoard it for ourselves. We begin to think that the hope and all God’s promises are just for us when we keep hope to ourselves, when we start to enclose ourselves in our echo chambers which are too confined for the Holy Spirit. Our hope is in the name of the Lord, and our vision is set on the Kingdom of Heaven. Isn’t it? “Thy kingdom come. Thy will be done.” We mean that, right? If we don’t pray this every day, we get distracted. We forget what’s important. Our vision gets short-sighted in the busy-ness of our daily lives, and our hope becomes fixed on making it through the next few hours for me and mine. And we do have to take care of ourselves, making sure that our basics are met so that we can help others. But taking care of ourselves doesn’t mean that we only make sure our basics are met; our neighbors need the basics, too. Do you know when and where the food pantries are in our community? (Here’s a link.) As long as there are people starving, we’re going to struggle to share the vision of the kingdom because people are living in hell. When our basic needs are met, we can imagine the kingdom because we’ve tasted abundance. We’ve known love and safety and stability. There are people worldwide who don’t have those experiences. And it doesn’t mean that God is any less with them than us. Don’t for a second think that God doesn’t love someone who is suffering. The culpability is on us, the Body of Christ, the hands and feet of God in this world. Have we become lame? Do we need to be revived? Yes, we need to be revived, and we must be united as the Body of Christ. Yes, there will be divisions because we do not agree on everything, but fundamentally, we share one Lord, one Word, one Love. As a Church gathered together in unity by the Holy Spirit, we can’t help but show God’s power of Love in the world, and this is work we must do. Being new in this community, I’m building relationships. Yes, it’s easier to build relationships with people like “us,” but I’m also looking for opportunities to reach out and unite with others for the sake of Love and to the glory of God. Because we have a Light that shines and illuminates for us a vision of the kingdom. The doors are wide open and sometimes we get a glimpse, like when Camp Mitchell announces it’s open for refugees from the hurricane or when another Magdalene House opens up or brings another woman in. And ultimately, we are a people united, not just as Christians but as children of God, as people of humanity. What unites us? Love. The love that involuntarily bubbles forth when we recognize our common humanity. The love that makes us rush into harm’s way to help another. The love that makes us pick up the crying baby from the river. At the interfaith prayer service Monday night, Dr. John L. Colbert from the Northwest Arkansas Dr. Martin Luther King Jr. Council had a speech prepared and threw it to the wind as the Holy Spirit blew in. His heart showed in his eyes and smile as he greeted us with the energy of a black pastor about to lead us in a gospel sing. He admitted that he was overcome by love as the voices from people gave thanks and as we came together as a people united. And he did the thing that we are so dis-inclined to do. He chided us for sitting so far apart, and he told us that we love being told that we are loved. Then he told us to stand up and tell a neighbor that we love them, to look them in the eyes and say, “I love you.” Laughing genuinely, and I’m sure some were laughing nervously, we all stood up and spent the next five minutes hugging one another, telling each other, “I love you.” And we meant it. You know when you look into the eyes of another person whether they are telling the truth. You know when it’s hard. You know when they’re trying. But if you look into someone’s eyes and say, “I love you” with the love of Christ, that love of Christ shines forth from the depth of your being and rejoices that you’ve given glory to God, allowing a connection to be made, for a union to occur. It might be tenuous at first, but with a lot of practice, all our hopes and vision for the kingdom can be realized if we focus on what unites us. A month or so ago, Krista Mays contacted me, politely asking if I wanted to use Track 1 or Track 2 for our lectionary. Wisely on her part, she mentioned that Track 1 does include the bit about Abraham’s near sacrifice of Isaac. I grimaced. No one likes that story. What kind of first sermon would it be that mentions human sacrifice at the command of God? (Even though it doesn’t happen.) These are my first split-second thoughts. Then I remembered what I asked Rachel Held Evans at the Insight Lecture at Trinity Cathedral in Little Rock just days before Krista called, something like: “What stories do you find you have to lean into when you really want to ignore them altogether?” So I paused, sort of girded up my loins, and said for this new beginning, we would start with Track 1. I wouldn’t shy away from the difficult. And so we begin our relationship with the lectionary we have today. Our collect this week asks God to join us “in unity of spirit” by the teaching of the prophets and apostles but chiefly of Jesus Christ. We will spend every Sunday, if not every day we spend in Scripture, gleaning the teachings of our ancestors in the faith. But today, how fortunate we are to have some foundational principles that will guide us in our life together individually and as part of the body of Christ. Especially as we look forward to and imagine the future of All Saints’ . . . we have to know who we are and whose we are. Fortunately, we don’t have to guess what this means. We have a tradition already firmly established in the teachings of Jesus, the prophets, and the apostles. In a church whose tagline is “The Episcopal Church welcomes you!”, we get the Gospel message today. Our Good News is that whoever you are, wherever you are, you are welcome in this place, you are welcome at God’s table. Given the number of times I think we will have to extend hospitality to each other and the commitments we have made to reach out to others, I know All Saints’ understands the imperative of this teaching to extend welcome to all, to receive one another in the name of Christ, whether we are devout children of God or wandering seekers yearning for something we just can’t wrap our mind around. The graciousness of Spirit that Jesus showed us in his life with all the people he came across, especially the marginalized, that is the graciousness of Spirit we are to embody in our daily lives in whatever way we can. That’s where the apostles and disciples come in: they show us that the most ordinary folks are acceptable in the eyes of God and that we’re meant to be a motley crew. Last week we got a list of the twelve apostles, but we know there was an even larger band of misfits with them, male and female, young and old, rich and poor, though mostly poor. The apostles teach us that it’s okay to doubt and ask questions. It’s normal to get uncomfortable, especially when Jesus gets excited and breaks yet another social norm, let alone when he starts flipping tables. And they show us that it’s okay to be completely surprised when we do something remarkable in the power of the Spirit. The apostles and disciples show us that if we are full of ourselves, how does that leave room for Jesus to shine through? Only when we’ve given ourselves over to God, become slaves to righteousness, only then can God fully work in our midst, only then is the kingdom of heaven at hand. All of this sums up to living a life in faith and righteousness to the best of our human ability (because we know none of us is perfect). So we have what we often call the radical hospitality of Jesus and the faith and righteousness of the apostles and disciples. That leaves us with the prophets, and I promised I wouldn’t neglect Abraham. I don’t know about you, but I don’t normally think of Abraham as a prophet. Father Abraham, yes. Prophet? Of course he is. He gets a remarkable call from God from the beginning to leave his people, and he goes. He’s told he will be the father of nations, though his wife is barren. And when he does finally have sons, one he is told to send away, which he does, and the other he is told to make a sacrifice, which he sets out to do. Now, if you want to read a remarkable book on Abraham, I commend to you David Rosenberg’s book Abraham: The First Historical Biography. After I told Krista I would do Track 1, in my conversations with the Rabbi in Hot Springs, I asked him nonchalantly, “So, anything in particular I should be mindful of about Abraham if I were, hypothetically, to be preaching on the sacrifice of Isaac?” “Let me think about it,” he said, and the next time we met, he gave me a 300-page book on Abraham, being the good rabbi and Hebrew studies scholar that he is. The obedience of Abraham, as with all the prophets who eventually accept their calls, is the main teaching that stands out to me today. (Maybe it’s because I’m so close to this most recent transition in my ministry.) But Abrahams’s obedience–particularly related to the near-sacrifice of Isaac–bears particular significance in lessons for our lives in faith. The translation Rosenberg includes in his book has Abraham responding to God not with “Here I am” but with “I am listening.” Not only is Abraham present, but he is actively receiving the Word of God. And Rosenberg describes Abraham’s actions, as the text does, as very physical, very tangible, yet in a dream-like state. There is something at work here beyond the natural realm, but very much in the natural order. For Judaism, God cannot cross to interfere in the natural world because then He would not be trusted ever again. But the boundaries have to be tested. Boundaries like between life, the affirmation of continued existence, and death or the fear of extinction. Isaac is the one upon whom the continued identity of a nation depends. This situation, Rosenberg says, is a “biblical nightmare” because God is testing Abraham with threat of cultural extinction. We realize how incredibly vulnerable this young nation is, a small family in the midst of strangers. We might think God interfered directly, but Abraham awakes from his trance-like state from the voice of heaven, not entirely unlike the voice of our conscience. Probably with tears streaming down his face as he holds the blade above his son, both of them showing their devout obedience to God above all else, Abraham hears the voice and says, “I am listening.” And he’s told to stop, for Abraham is shown to have “an integrity dedicated to God,” not just fear of God. I love the translation that shows a father of nations to be filled with humility and integrity dedicated to God. That is the kind of obedience we are to show. Not false humility or empty martyrdom, but a complete devotion in knowledge of our strengths and of our faults that we will do nothing but our best to live into the commandment of our LORD. Every day we are listening, we hear the command to love one another as Christ loved us. Hospitality. Faith and righteousness. Obedience. The teachings are spelled out for us, but it is up to us to figure out what they look like in practice, what the process of becoming a holy temple will be like. What makes us worthy of the name Christian in the eyes of God? So I have my sermon prepared by yesterday afternoon when I checked my email and saw the letter from the Bishop about the Little Rock mass shooting early Saturday morning. I had read about it not long after I woke up and thought, as I’m sure many of you did, “How horrible. How senseless.” Like our state leaders, we probably sent up our prayers to the victims and their families. And I went about my day and wasn’t even going to mention it in my sermon . . . except I read the bishop’s letter that challenged us to think about how we can be life-giving when so much of society condones violence as a solution. How hospitable is it for me to look away shaking my head just because the Power Ultra Lounge isn’t my scene and I’d never heard of Finese 2Tymes before Saturday? The victims at the concert were people’s children; the youngest wounded was 16 years old. If it was gang violence, these are individuals looking for belonging in the only places they think they can find it. How faithful and righteous is it for me to ignore or look away from that which is not pleasant and painful? How obedient is it for me to pretend that this doesn’t affect me or us? Because we are all connected. If I’m going to say my prayers matter, then another person’s pain also matters. We can’t turn away or pretend the situation didn’t take place any more than we can pretend that there aren’t some deep-seated issues in our society that need to be addressed for what they are . . . issues that make a place especially susceptible to fatal violence. I don’t expect us to come up with a response for the bishop right away, but he poses questions worth asking ourselves. Keeping our foundation firm in our teaching, we can engage the questions and embark on the arduous journey together. It will take time, but I aim to meet with everyone here. Don’t be alarmed when I call you . . . consider this your advanced notice, and please let others know who aren’t here. I’ll not show up unexpected, though you are welcome to surprise me. (I’m a big fan of scruffy hospitality, so be at ease.) I want to know how live into your baptismal vows, what keeps you curious about a faithful life, how you see Christ at work in our midst. Together we will discern how we live into these teachings that give us a sure foundation in all we do because no one of us is at the head, save Jesus Christ. When we serve meals, it is the light of Christ we share first. When we visit jails, it is the presence of Christ we bring first. When we pray, it is the voice of God we listen for, surrounded in the presence of Christ, filled with the Holy Spirit. In everything we do, how and who are we welcoming? Are we doing it in good faith and righteously? Are we being obedient to God’s will, or has our own will obscured our way? I know we have hard work before us, for Jesus assures us that living as disciples isn’t easy. But our foundation is sure, and our prayers are set for the glory of God. I am blessed to share this journey with you, in unity of spirit, as we fill our community with the light and love of Christ. No, it’s not the holidays when the women in my family extend themselves further than Gumby would have dreamed to get all the decorating, cooking and shopping done. Rather, to me it seems women are finding what it is they enjoy, what they feel passionately about, and are doing their best to follow their heart. My mother no doubt feels a connection to her Native Indian roots as she searched for crystals and arrowheads in the earth. A dear friend searches for how she can best satisfy her inner child while using her creativity to help others use theirs. One of my childbirth students realized a scheduled cesarean section wasn’t aligned with her natural lifestyle. Instead, she learned all she could, kept up her physical fitness and had a wonderful waterbirth. We all have the capacity to listen to our hearts, our inner voice that speaks to us the truth of our desires. Whether it be a hobby, career choice or important decision, now is the time to listen and find your strength. The Universe is as supportive as ever, and may we all delight in our sisters finding their universal strength.